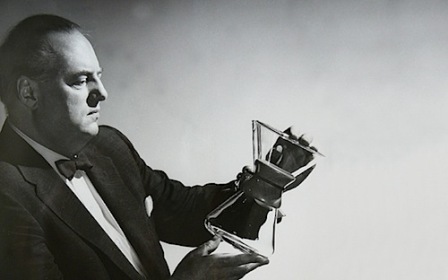 One of our great customers and coffee aficionado, Eric, sent us this link tonight on an article about the Chemex Coffee Maker and it’s inventor, Dr. Peter Schlumbohm (click here). The article quotes Schumbohm in a Time Magazine article written back in 1946 – “with a Chemex, even a moron can make good coffee.” Ok, we’ll give credit to Dr Schumbohm for wearing a really rad suit in the classic picture shown above and for inventing one of the greatest coffee brewing systems. Along with a French Press menu, we serve Chemex brewed coffee daily and it’s awesome. If Dr. Schumbohm were still around I would say to him – yes, you have invented a great brewing system but garbage in = garbage out. At the end of the day it’s all about the quality of the coffee, quality and temperature of the water, grind and true passion for the coffee. BTW, in no way did I mean to imply that skill means nothing, and I generally disagree with any quote that starts with "Even a moron can..." - because they can't. It's the skill and devotion of your baristas that makes outstanding raw materials great, and makes Tazza one of my favorite places. I've had better espresso in your shop than I ever had in Italy! So easy even a caveman could do it.